Your loved one has led a remarkable life. In fact, getting to 80 is no mean feat in itself! It's definitely something worth honoring. 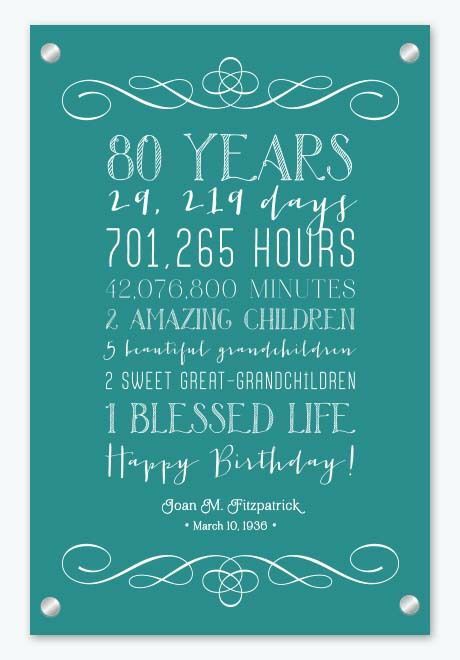 Whether you're looking to mark the occasion with a big party or small, intimate affair, be sure to also honor their long life and celebrate the wonder that each new day brings with one of these 80th birthday gift ideas. A photo gift of a precious memory or a beautifully innovative family portrait will hold a special place in their heart. An 80th birthday party is never complete unless there's a photo board of memories on display and now it can be as classy as the guy in the pictures. 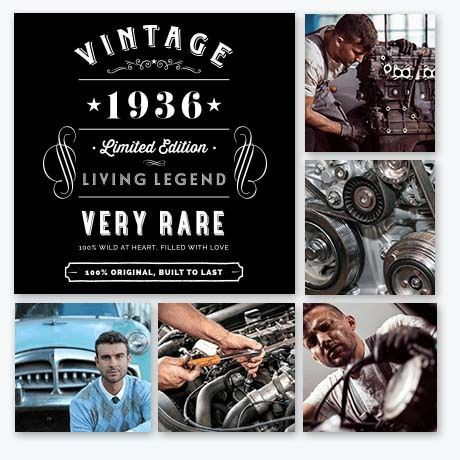 Forget DIY arts and crafts; the father, grandfather and great-grandfather in your life deserves only the best and, lucky for all of us, the best is now also affordable! Tell the story of his life, photo documentary style using a wonderful collage. Better yet, have a member of the family talk through the significance of those special moments. Dogs are wonderful companions for seniors and this gift honors that relationship between human and their four legged friend. They say dogs are the best people and, particularly as we age, they're probably right. This gift celebrates that loyal companionship. Max the dog is the apple of his eye. His face lights up when he's around and he talks about him a lot. A lot. Arrange a photo with the 80 year old in your life with his (or her) best furry friend and, for full impact, print it across four canvas frames. Transform that special moment into a work of art and watch his eyes sparkle. They're still holding hands, laughing at each other's jokes and playing games together. This gift celebrates that warmth. It's the simple things in life that can make the most impact. 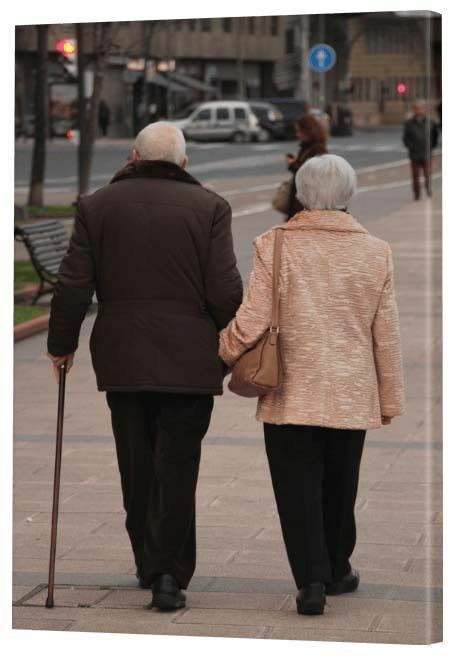 For the perfect 80th birthday gift, capture a special moment of the loving older couple together and print it onto a single canvas print. 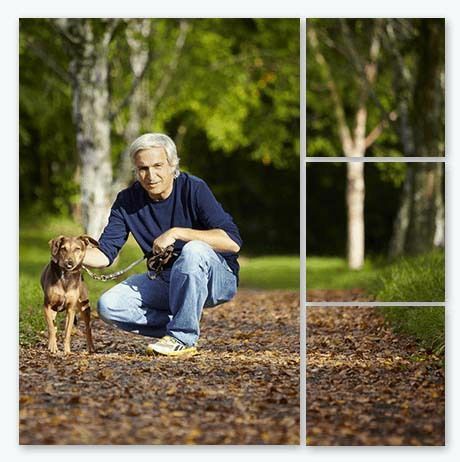 While landscape is a popular option, consider placing your photo on a square or portrait shaped canvas. Don't be shy. If you have a photo you love, it's likely they will too. So print it on the biggest canvas size so they can hang it proudly in their home. 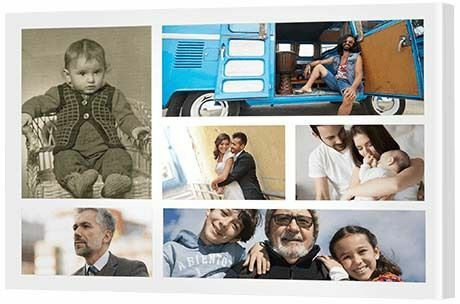 If the photo is so good that it deserves some extra special treatment, consider printing it onto a non-canvas material like acrylic glass or brushed aluminum. Glass is wonderful for those light, bright photos and aluminum is ideal to give a photo an arty appeal. At 80, their love truly has become 'together forever', so don't keep those photos on your camera - bring them out from behind the screen and give them life! He hasn't slowed down, but that's what happens when someone finds their true passion and dedicates every living moment to it. Does your favorite soon-to-be 80 year old have a passion that keeps them out of mischief? Perhaps it's a sport, a craft, an artform or an activity like gardening, fishing or mechanics. Perhaps it's something so unique that few truly notice its importance. This gift is a wonderful way to acknowledge the value of that one true love. This metal wall display features a large panel with a fun 80th birthday quote. The other five panels are an opportunity to display their passion. It could be something they've done all their life or even a new hobby they've recently picked up. Honor it now. 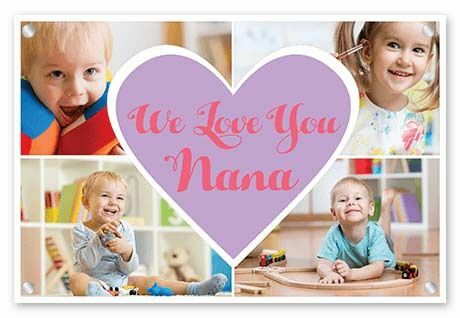 Surprise Nana with this modish glass heart collage, a brilliant personalized gift featuring photos of her much loved grandkids. They are her whole world, so gather all her grandkids together in front of the computer and give them the opportunity to choose which photos they'd like to upload onto this customized collage canvas. In the center heart frame you might like to include a photo of Nana on her own, with her grandkids or even some colorful, fun text like 'We love you Nana'. The idea of living almost 30,000 days is pretty mind blowing, but when it's written out like this it becomes even more amazing! 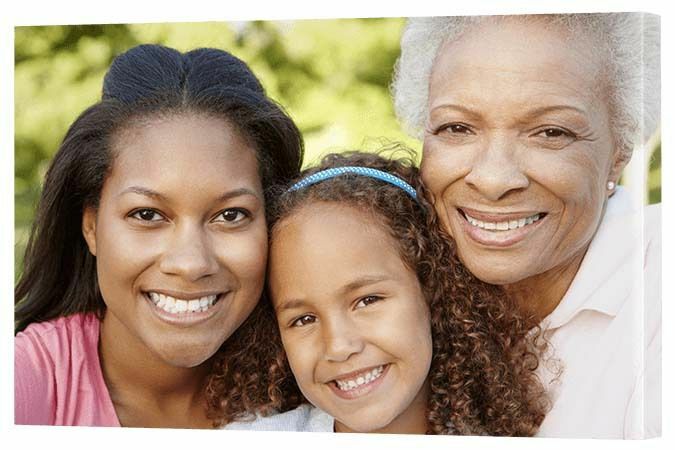 Gather together all the wonderful achievements your friend or family member has experienced in their 80 years of life. We've done the hard work for you by counting the days, hours and the minutes. Pretty incredible to contemplate, isn't it? Now all you have to do is think of the other extraordinary happenings - kids, grandkids, great grandkids perhaps? Or it could be how many holidays they've taken or degrees they've earned? Really take time to think through who they are and what they value then print it all out on a beautiful glass print. You can create something yourself in a graphic design program like Adobe Photoshop or Illustrator, but we love to use Canva. In Canva you can easily choose a colorful background then type whatever you like in the text space using a number of different font styles and sizes. Just make sure, once you've finished your Canva design, that you download it as 'PDF: For Print' as this will ensure the resolution is high enough to achieve a quality result. As a master wine taster, he knows everything there is to know about wine. For his 80th, add this gift to his collection as well. Hey we're not saying don't buy him another bottle of red, we're just saying that - for his 80th - add this thoughtful gift to his mixed dozen. 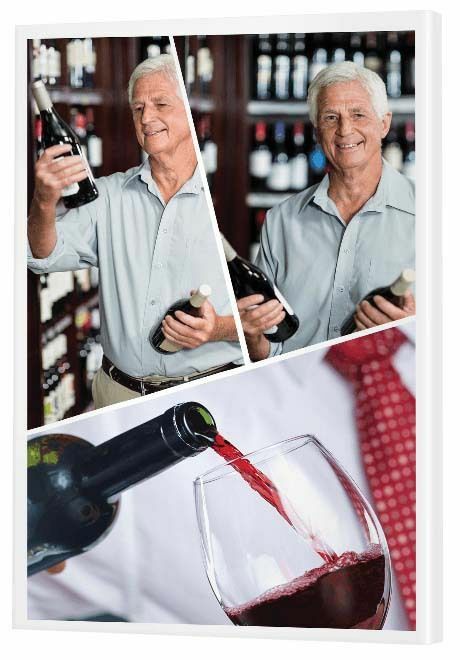 This modish canvas design offers three frames, so find photos of the wine man in action. You know there's plenty. - Novinophobia: The fear of running out of wine. - They say one glass a day is good for you. They never said how many times to fill it. - You can’t buy happiness, but you can buy wine and that’s kind of the same thing. - Wine a bit. You’ll feel better. - I drink wine because I don’t like to keep things bottled up. Design your quote with a colorful background in Canva, save it as a 'PDF: For Print', convert it to a .jpg or .png and upload it to the bottom frame. Too easy! And so much fun! 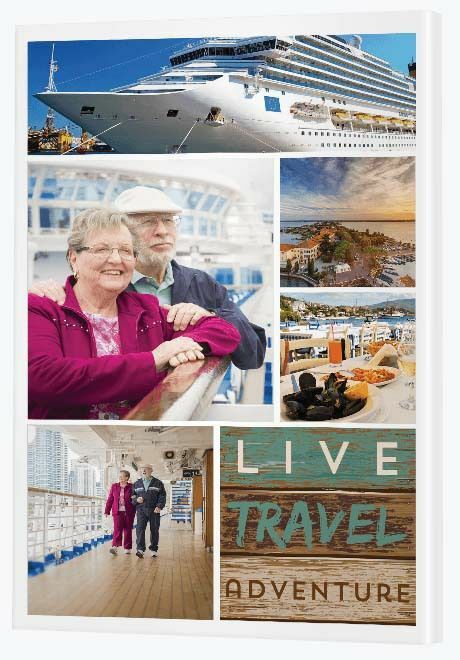 If your 80 year old loved one has enjoyed a life of travel, gift them a travel collage of treasured memories. This travel themed collage is a wonderful way to present five travel photos, perhaps a photo of every place they've been to or a collection of pictures from that 'one special trip'. Whether travel is something they've put behind them or something they're still fit and healthy enough to do, it's a gift of memories they can hang in their home, content in the knowledge they've led a life of adventure or inspired to plan that next big trip. If their travel adventures have covered too many countries to fit into this frame, consider putting together a travel series of 3-5 collages to hang in the home - a hallway is a great place for this. The traditional collage series would work best here as these feature up to nine frames per collage. A series of 5 would provide spots for up to 45 travel photos. And sure, you can keep the costs down by printing the smallest collage, but remember old folk need to be able to see the photos too! Since her husband passed away (and long before) you - her friends - have always been there for her so celebrate that friendship with a gift of smiles. A true friend is the greatest of all blessings and she's lucky enough - at age 80 - to have such a close knit group. Remind your friend of that love and friendship by gifting her a beautiful photo canvas print of her golden girls. Once you have the digital print, upload it to our Canvas App. If you need help along the way be sure to contact us and we'll look after you. When you're trying to think of a gift for the 80 year old man, be sure to recall all the things he loves to do. Sometimes the best gift is the one he'd never think of giving himself despite it being something that means a lot to him. Get together with the old boys and create an 80th present showing a series of photos from the hobby you all share together. It's a gift for a man from the men in his life - an aspect that is not honored enough. 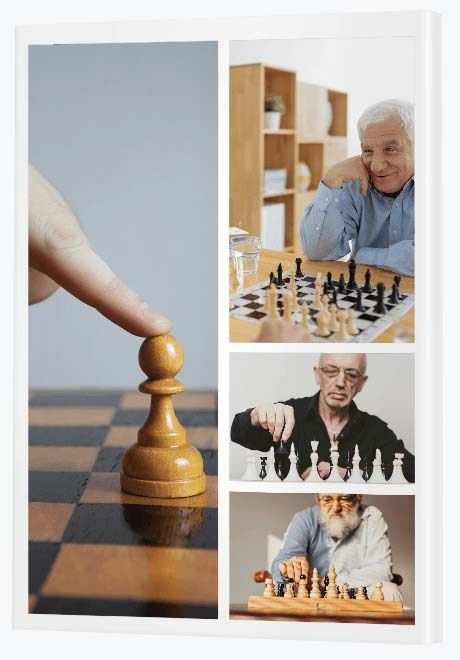 Whether you're all in the chess club together, play bowls or bridge, start photographing the activity. With easy access to smart phones these days, it's no longer an intrusive thing to do. You don't have to make a big deal out of it, just get out the phone and start taking photos when you all come together. No-one will suspect what you're up to. Once you have all the photos together, build a collage. This traditional template is a great one to use as it lets the photos speak for themselves. When he opens this 80th birthday gift, his face will give nothing away. It will bring a smile to his face and warmth to his heart today and for many years to come. It's his favorite thing to do, after all.